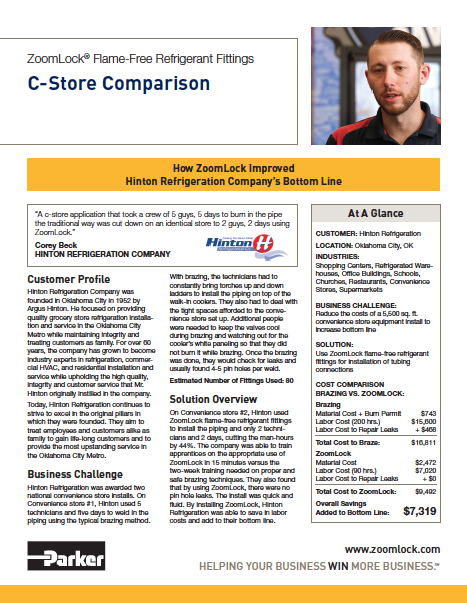 Check out our latest ZoomLock case study with Hinton Refrigeration. Advanced controls provide safety, security and service for remote and self-contained single- or multiple-coil refrigerated display appliances. WASHINGTON, Mo. 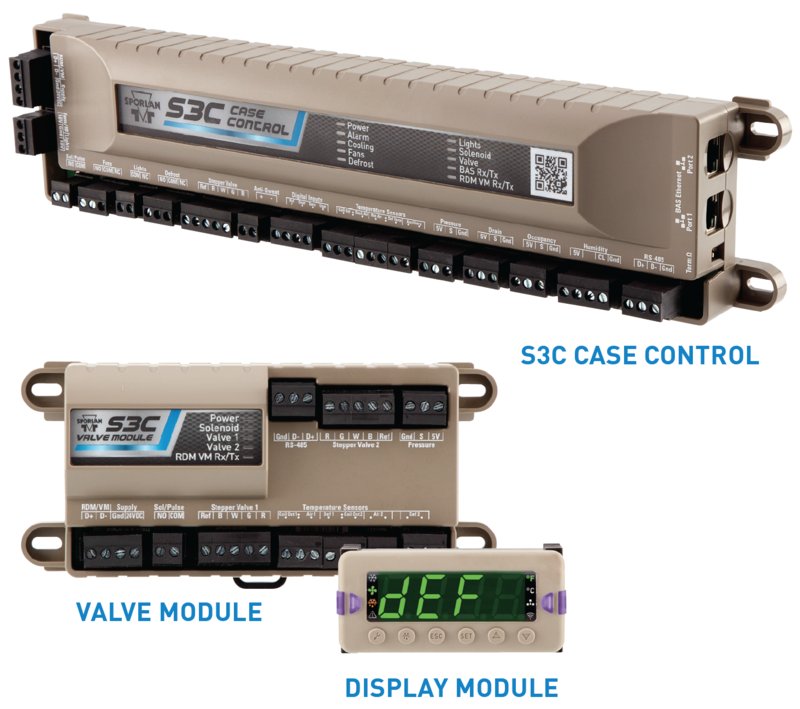 – January 22, 2018 – The Sporlan Division of Parker Hannifin Corporation, the global leader in motion and control technologies, today announced the launch of its S3C Series of case control products. Consisting of a case controller, remote display and valve module, the family of innovative controls is designed to facilitate both installation and integration by refrigerated appliance OEMs, as well as streamline retrofit into existing supermarket refrigeration control installations. The entire S3C line supports open protocol communication via BACnet and Modbus communication networks. When enabled, the controller provides automated configuration and network integration. The S3C Case Control peer-to-peer system is capable of standalone or building automation system (BAS) operation of up to eight refrigerated cases per lineup, with control modes to handle superheat, case temperature and/or suction for the most efficient operation possible. Additionally, the family of controls has been designed to simplify and shorten new equipment setups and retrofits. Color-coded temperature sensor wires make installation easier. Control of either step motor or pulse width modulation valves provides flexibility. Bright, colored quick-view LEDs show case status at a glance. Display case OEMs are continuing to look for improved ease of use, quicker store startups, access to more data and efficient system operation for the end user. The S3C Series’ advanced monitoring, diagnostic and networking capabilities make these goals possible, facilitating a one-day store setup time, versus the average ten-day setup time. This significantly reduces the time and cost required to launch a new supermarket. Additionally, by monitoring more inputs, S3C case controls provide more system data to end users, minimizing product loss and service calls. The S3C Series refrigerated case controls will be on display at the 2018 AHR Expo in McCormick Place, Chicago, January 22-24 (Booth #4936). For additional product information, contact svdtechsupport@parker.com. Contractors visiting the ZoomLock Roadshow can experience hands-on product assembly and a live pressure test, as well as participate in a trip contest, and great tool and jaw kit offers. WASHINGTON, Mo. 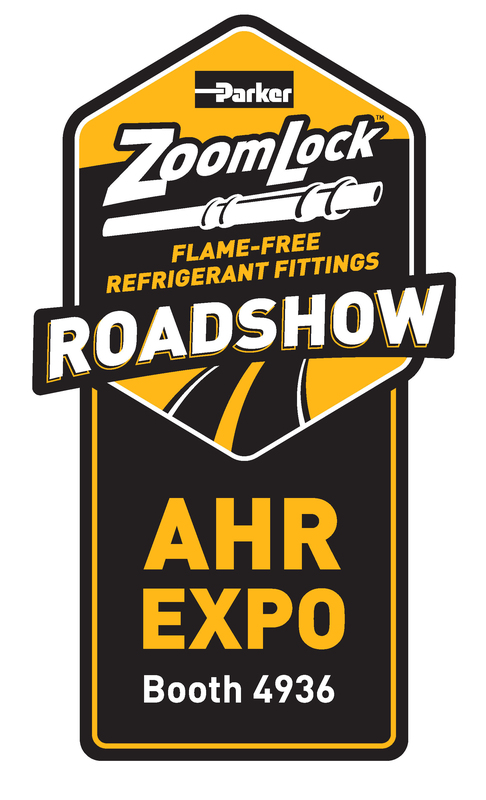 – January 22, 2018 – The Sporlan Division of Parker Hannifin Corporation, the global leader in motion and control technologies, today announced it is bringing its ZoomLock™ Flame-Free Refrigerant Fittings Roadshow to the 2018 AHR Expo. The AHR Expo will be held in McCormick Place in Chicago, January 22-24. Contractors wanting to visit the ZoomLock Roadshow should stop by Parker booth #4936. The only press-to-connect technology approved for HVA/R operating pressures up to 700 psi, ZoomLock’s patented design works without brazing, using specially designed crimping tools to cut the time and cost of copper pipe assemblies by forty to sixty percent. For HVAC/R contractors and technicians looking for more flexibility, safety and efficiency, this groundbreaking technology is an AHR Expo must see. Visitors to the ZoomLock Roadshow will be able to watch a live pressure test of a ZoomLock fitting they crimped, enter for a chance to win a trip of choice to either a major 2018 golf event in Paris or the big game in 2019, and learn how these innovative fittings can help win more business. A special offer at the show will give contractors new to ZoomLock fittings and tools the opportunity to choose a free ZoomLock Klauke five-jaw tool kit or tool-free RIDGID® eight-jaw kit with wholesaler purchase of 300 ZoomLock fittings and PO number. 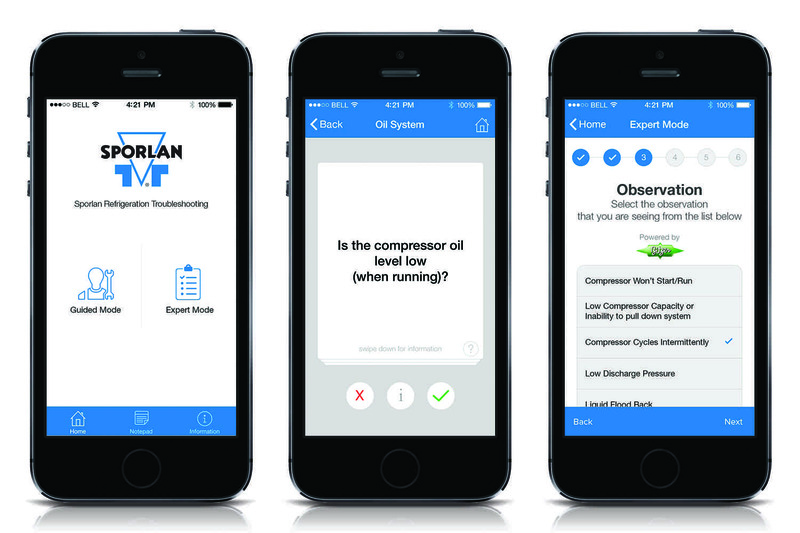 Washington, MO, March 2016 – Sporlan Division of Parker Hannifin Corporation, the global leader in motion and control technologies, is proud to announce that the Sporlan Refrigeration Troubleshooting App, designed to assist field technicians of all skill levels with troubleshooting components of a Direct Expansion (DX) refrigeration system is fully released and available for download for both Apple and Android devices. The app includes a guided mode and expert mode to aid the different skill levels of technicians. For the less experienced technician, the guided mode in the app walks the user through a series of questions with only “Yes” or “No” answers leading the user the correct action required. 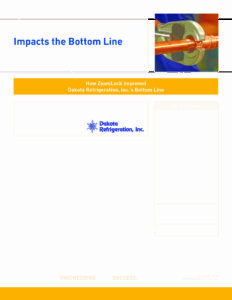 The questions follow flow diagrams that were created to cover all aspects of a direct expansion refrigeration system. 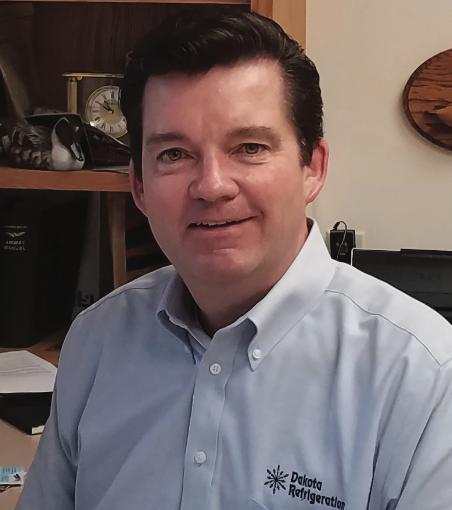 For the more experienced technician, the expert mode breaks down troubleshooting into 6 sections to quickly get to the root cause of the problem. The app allows users to go through the troubleshooting process, get to a corrective action and capture any notes including pictures, videos, voice memos, and text. The app received the 2016 AHR Expo Innovation Award Honorable Mention for the Software Category. The annual awards competition honors the most inventive and original HVACR products, systems, and technologies showcased at each year’s AHR Expo. Winners are selected by a panel of third-party ASHRAE member judges who evaluated all award entries based on innovative design, creativity, application, value, and market impact. 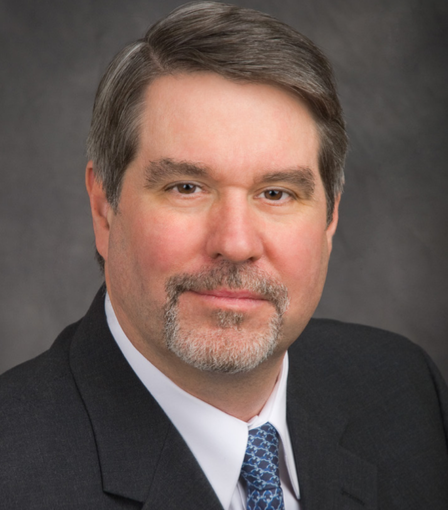 “Users can become more efficient and accurate with their troubleshooting skills by acquiring the information that will help reach a diagnosis quicker and more accurately,” Schuster added.